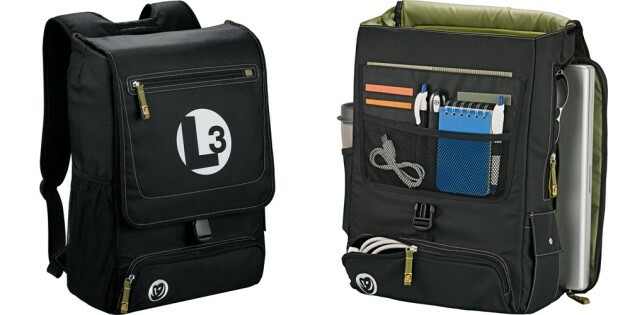 This unique-looking laptop bag/backpack from Leeds is not only cool, but made of 100% recycled materials. That’s always good news, and we’re seeing more bag makers go that way, notably Targus and Lowepro. And why not? The recycled materials I’ve encountered have been great. I like the idea of my old backpacks being thrown in a huge pot and melted down. I imagine there’s a little more to it than that, but still. Not only are you getting a feel-good recycled bag, but part of the price is donated to American Forests, so you’ll be planting trees as well.